Whether it’s for business or leisure, travel is a ubiquitous part of our lives. Going from one place to another isn’t easily fixed with outsourcing or automation: we may have machines that make check-ins go faster, but we can’t reach our destinations with a few swipes just yet. But with the rise in flexible careers and digital disruption, the travel industry is facing exciting a new age of momentous change. 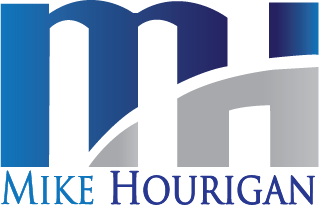 A prominent thought leader in the change management sphere, motivational speaker Mike Hourigan has decades of experience as a keynote travel industry speaker. His clients include hotel groups, vehicle rental services, resorts, tourism boards, and other integral players in the travel and tourism industries. Marriott, Choice Hotels, Hilton, the American Bus Association, MGM Resorts, and other prestigious travel companies and associations have relied on Mike for his expertise and enthusiasm in getting sales teams prepared and motivated. Travel isn’t just about selling tickets: it’s about creating an unforgettable experience for the visitors and providing top-notch service with a personal touch. Mike’s change management and people skills training have helped tourism and travel employees develop exemplary customer service skills and the ability to thrive in an industry fraught with constant change. What Does Change Have To Do With Travel & Tourism Sales?